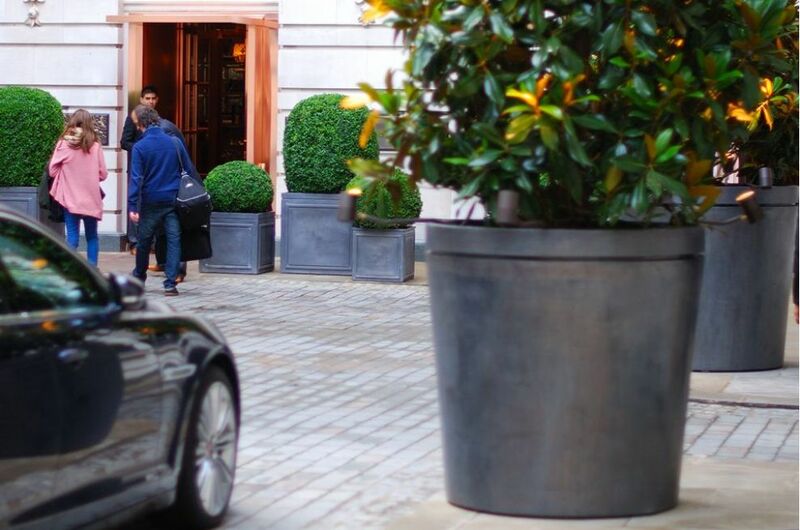 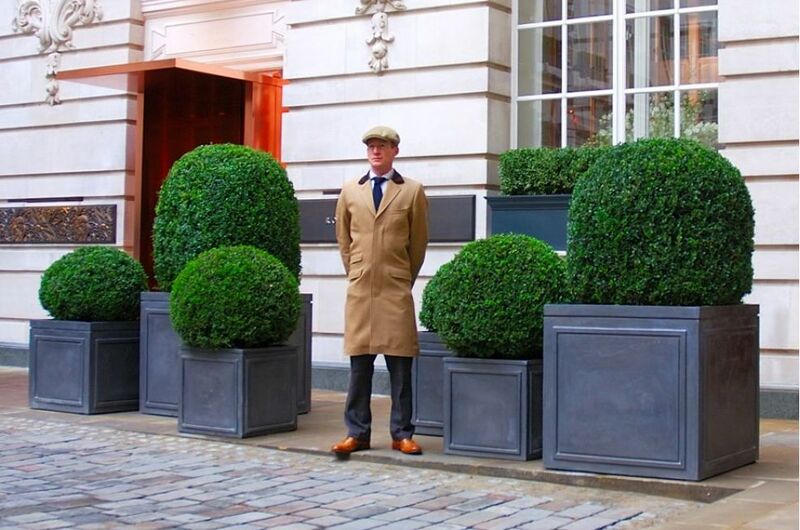 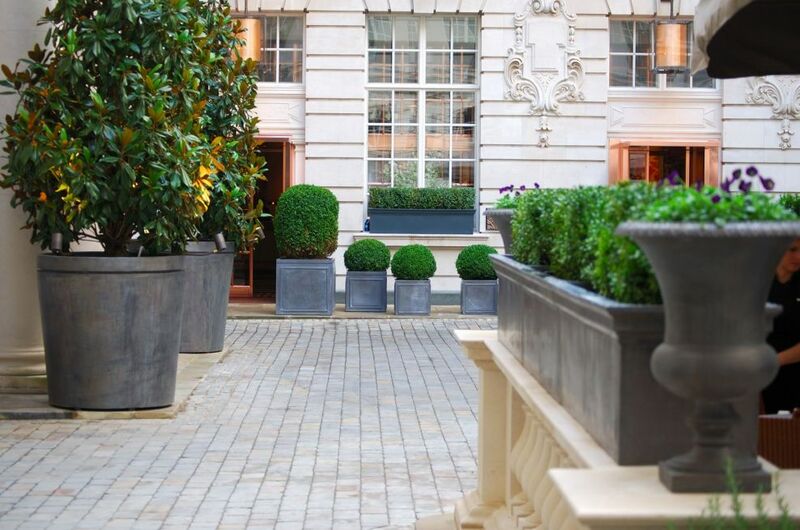 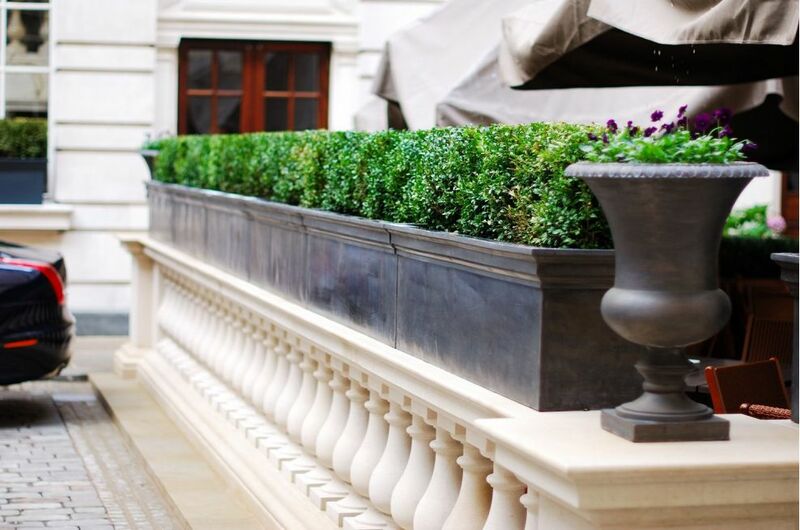 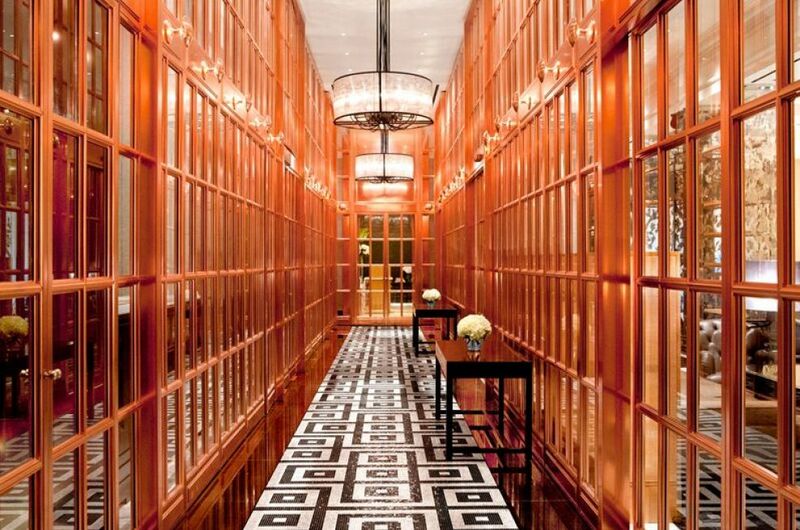 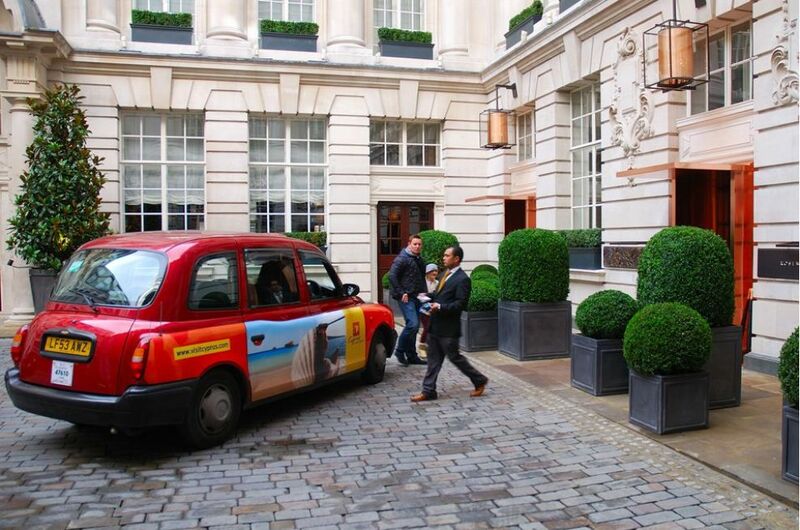 Lead clad steel planters were commissioned for Rosewood London, newly-opened following an £85m refurbishment of the landmark Pearl Assurance headquarters on High Holborn. 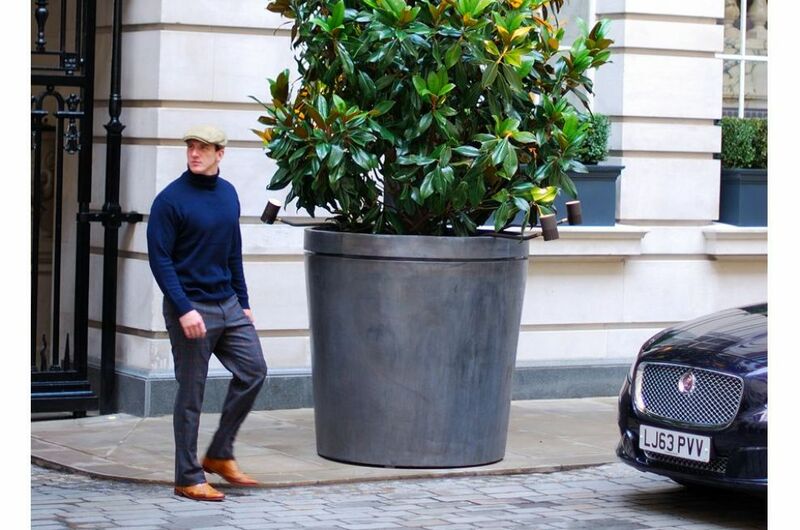 • 10 nr. 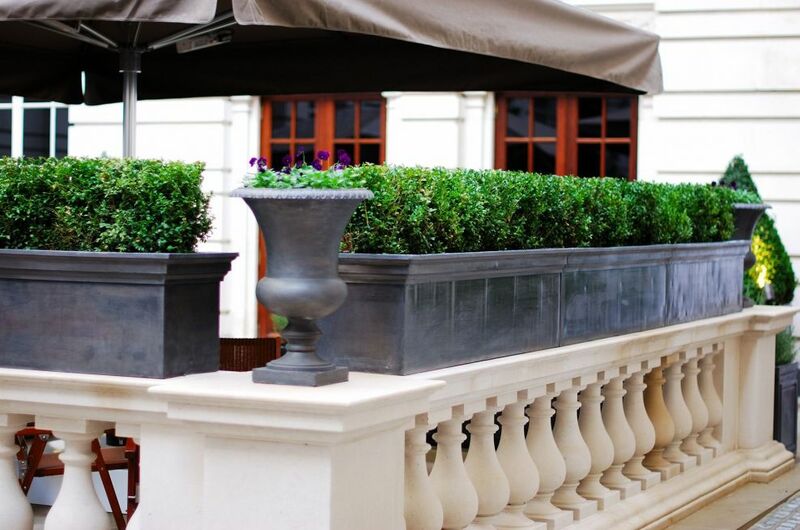 large trough planters were too heavy in solid lead to be safely installed on top of a wall surrounding an outdoor seating area. 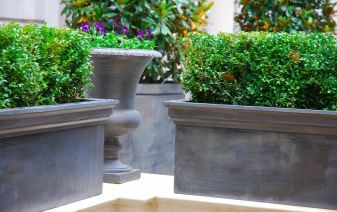 The solution was to design and manufacture galvanised steel planter liners, which were then clad in 3mm thick lead sheeting. 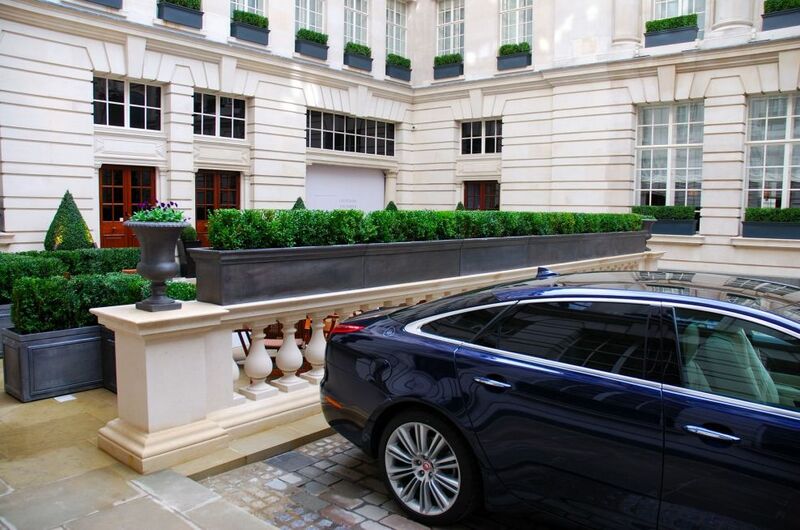 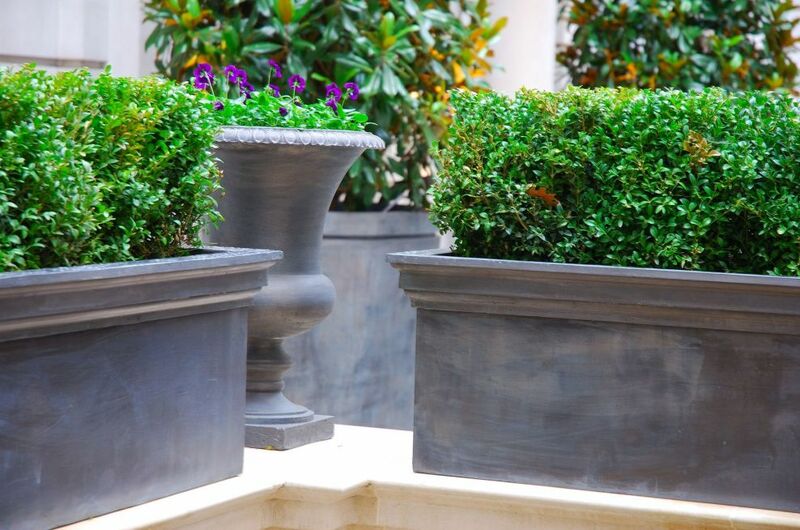 The resulting composite planters deliver the aesthetic of lead desired by the architect, whilst relying on the superior strength and strength-to-weight ratio of steel for the planters’ technical performance. 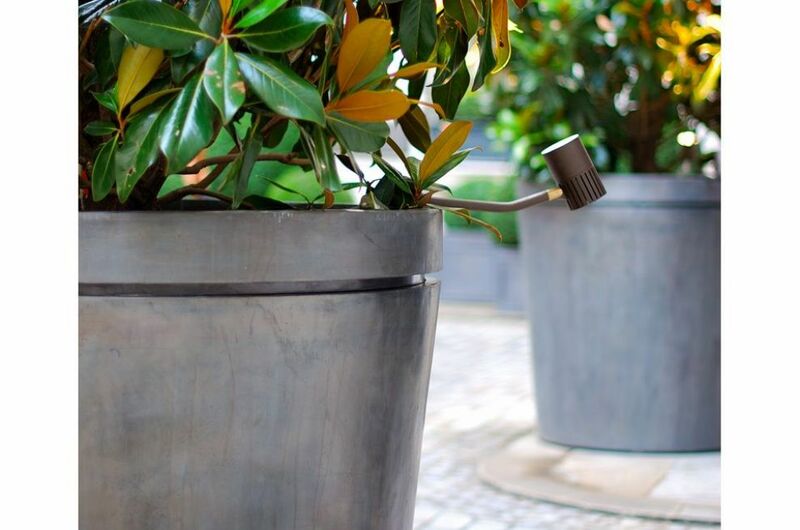 Using the above innovative techniques, robust steel planter liners can be clad not only with lead, but also with other soft metals – such as brass and copper. 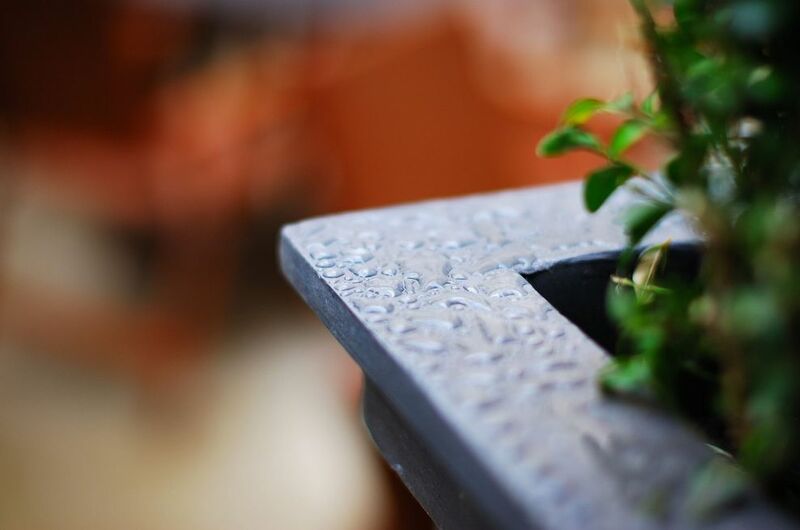 The resulting composite planters are typically stronger and lighter, and can be made larger, than would be the case using the soft metals alone; and this extends the use of the soft metals into environments and applications which were previously not possible.